I originally wanted to put the preview video to this right below the title, but it isn’t working so I’m including the link to the video right here —> “Love Lab Flow Dating” Preview . 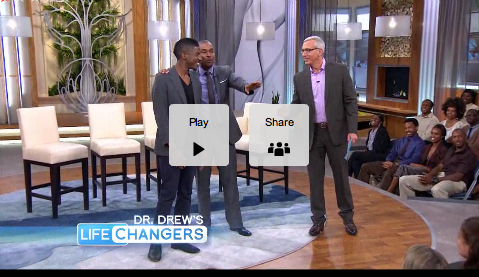 Friday, Sep. 23 on CW at 3pm my brother Paul Carrick Brunson will be airing on Dr. Drew’s new show Life Changer’s, as a Life Changer. I am asking all to support and spread the word, the episode looks super fun and Paul has a lot of wisdom to share on dating and relationships. Thank you in advance :-*. First, Dr. Drew tackles dating concerns with a few single men and women. Lifechanger Paul Carrick Brunson (first and only African-American matchmaker) helps a few singles find their perfect match by using a more modern twist on speed dating he calls “flow dating”. FINALLY, Paul will be on tv he needs to have his own show; wake up Oprah!!!! Added the date to my blackberry, thanks for the info!!! Your so welcome @5ee64cfe3aa1d0482d5b359e249dec31:disqus ! Paul has a lot of stuff in the works ;-). Awesomeness as usual! He should have his own show! I will try to watch but I hope it’s saved on Youtube! Oh, I hope you get to see it because it might not be on Youtube.